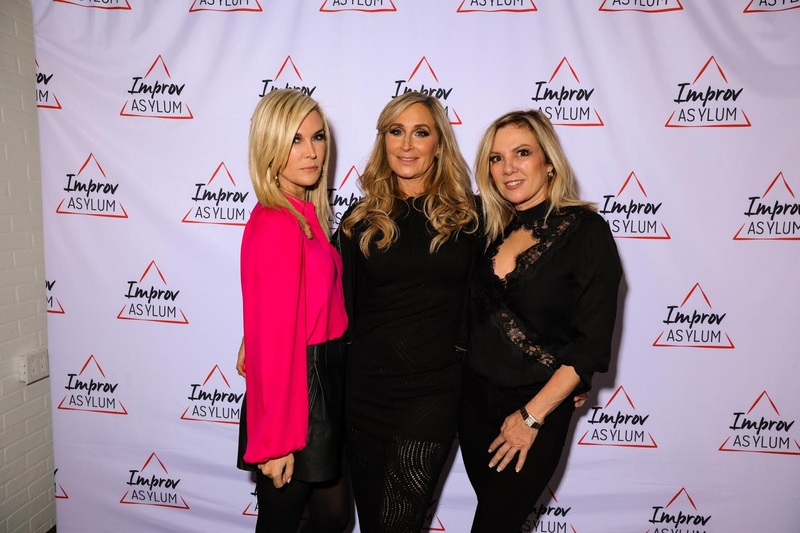 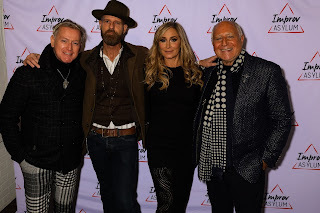 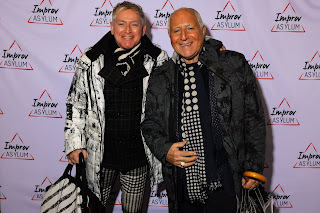 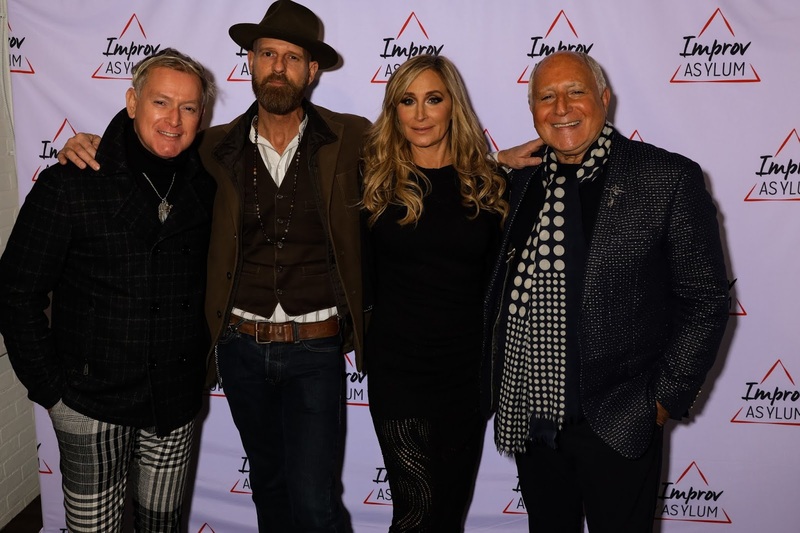 Improv Asylum hosted their VIP Opening Night on November 30 with special celebrity guest Sonja Morgan. 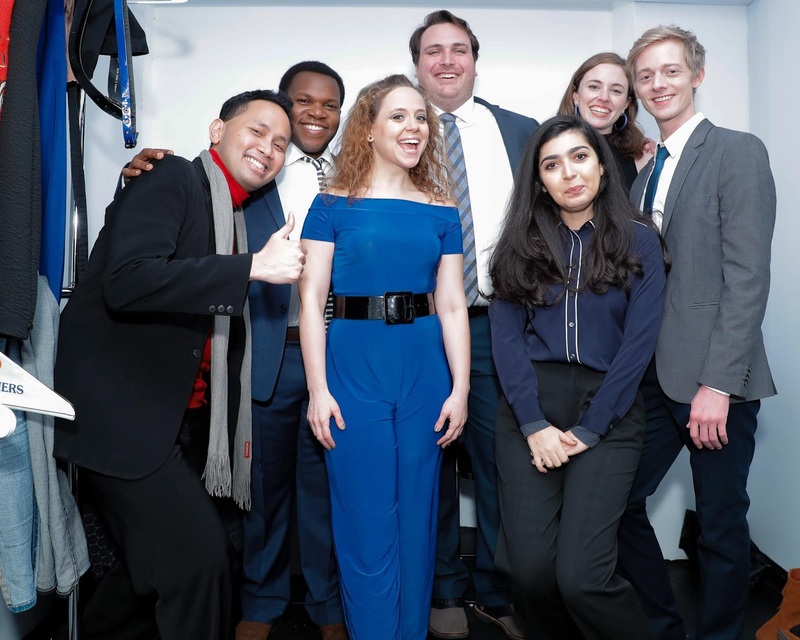 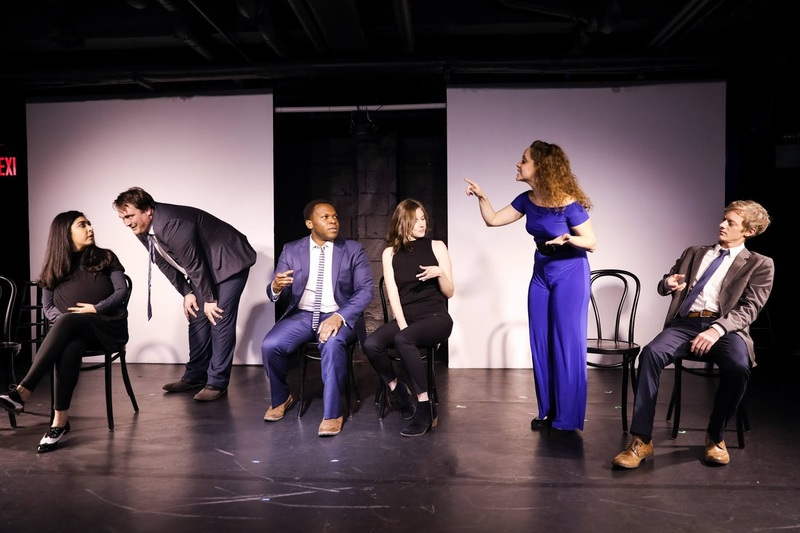 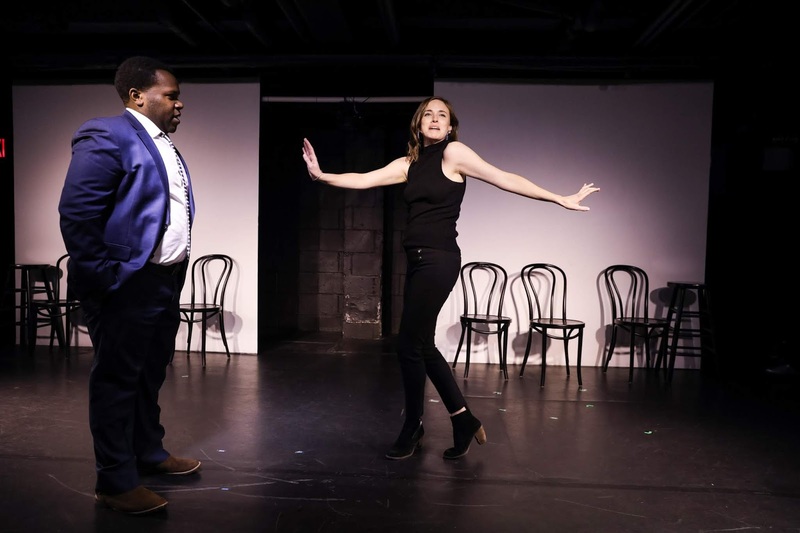 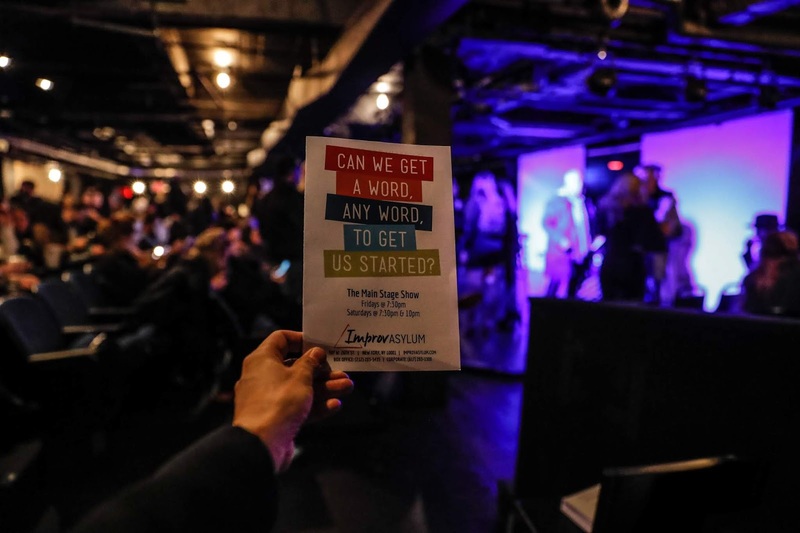 The Boston-born improv and sketch comedy club kicked things off with their Main Stage cast, Trevor Livingston, Sarvenaz Ashley Elmi, Vicki Hanes, Dana Schulman, Cavan Rogers and Christian Roberts and a hilarious gameshow inspired skit. Next, the cast warmed the audience up for their improvised scenes, asking a series of questions and encouraging them to get comfortable with yelling answers out loud in a room full of strangers. 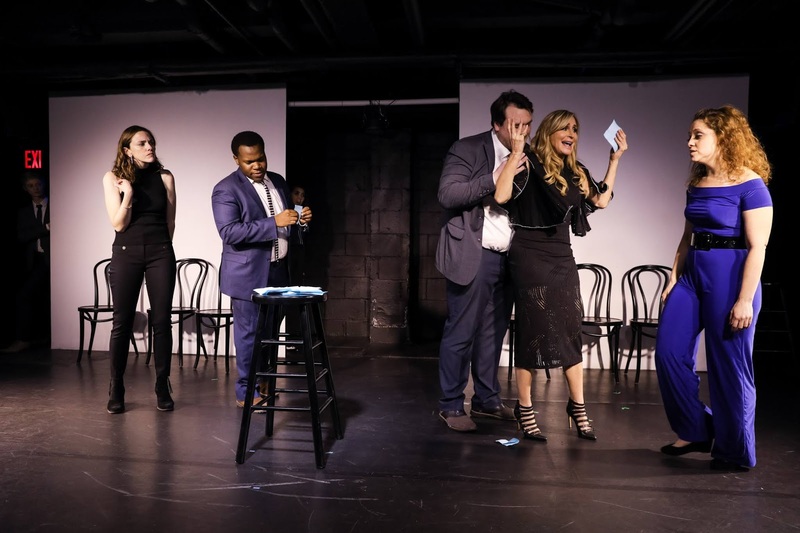 They followed this up with an improvised scene asking questions like "What is your dream job," answer: Astronaut, "What was the last thing you purchased online," answer: shoes, and "What's a location that can fit on this stage, like a Starbuck's bathroom, but not that," to which someone answered "Barbados" and received some fun commentary from the cast. 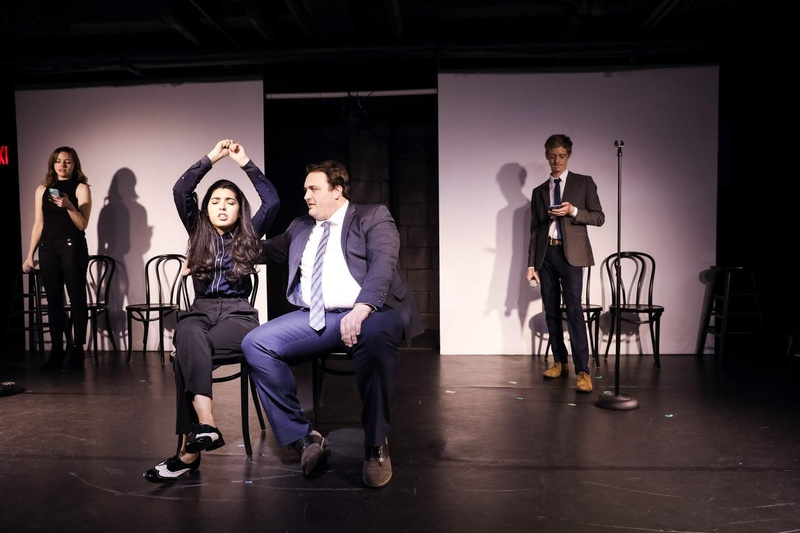 They finally settled on a subway car. 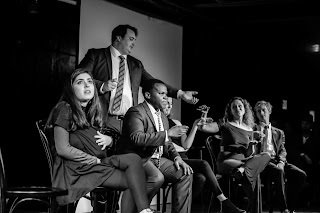 The cast then improvised scenes feeding off of each other (using the last sentence in completely different scenarios), it was hilarious. 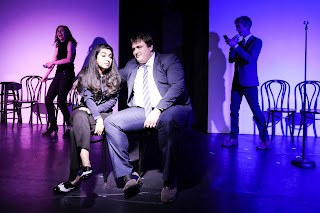 Shortly thereafter, it was time for the celebrity guest to come up on stage for one of her two appearances that evening. 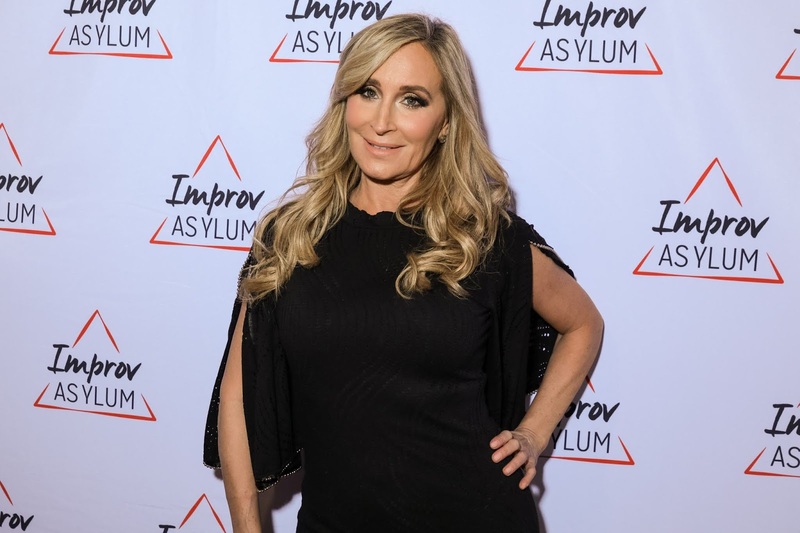 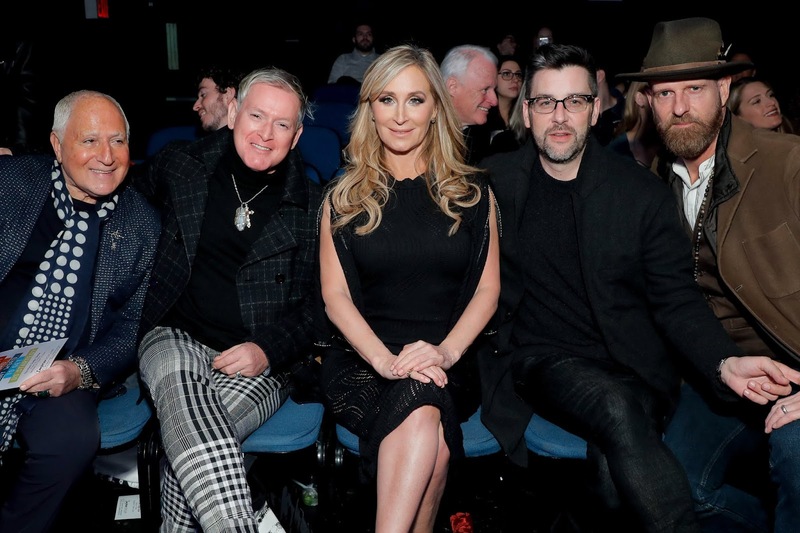 The Real Housewives of New York's resident comedian, Sonja Morgan, was summoned on stage by Trevor Livingston for Q&A style sit down, twirling center stage before sitting down. 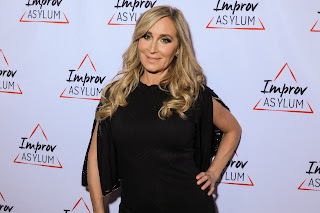 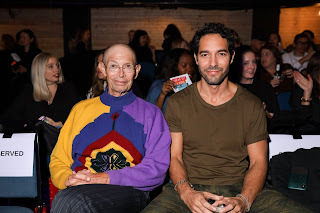 Livingston asked questions like "What's a typical Sonja Morgan day like?," but in true Sonja style she put her own comedic flare on the answers. 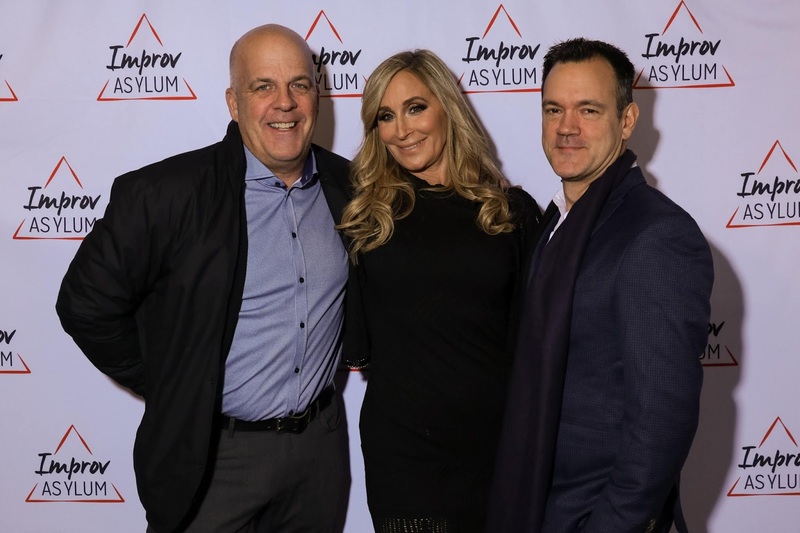 Chatting up about her favorite "pastimes," her daughter, filming the Housewives, going commando amongst other things, giving the cast more than enough material to work with. 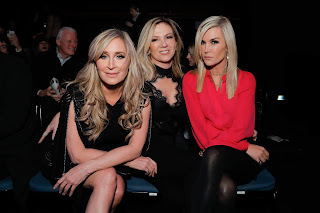 Sonja then headed back to her front row seat with cast-mates and friends, Ramona Singer and Tinsley Mortimer, to watch as the Main Stage cast improvised her life. 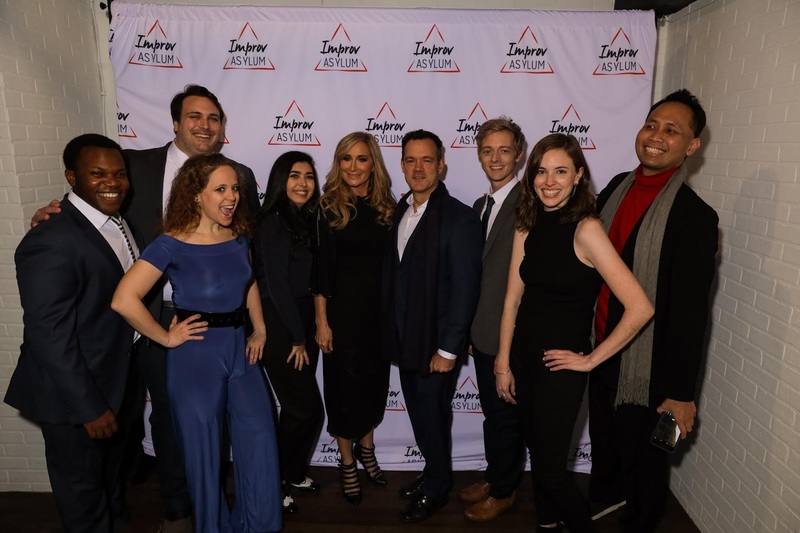 Vicki Hanes took on the role of Sonja, acting through her day of waking up, answering her emails and texts, talking to her daughter and reviewing her day, all in her 'Moo-Moo' or Kaftan as she described. The cast continued to parody key facts from the aforementioned sit down including Ramona correcting Sonja regarding which season they were in (Sonja thought the RHONY's 10th season was coming up when in fact it is the 11th), played by cast member Dana Schulman, Sonja's knack for always talking about her gorgeous and brilliant her daughter is, her fashion meetings, etc. They also touched upon some fun anecdotes for the die-hard Housewives fans like Sonja's relationship with 'Frenchie' and the fact that Dana was wearing 'Ramona blue'. 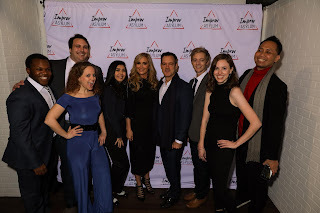 The night went on with additional hysterical acts like the singing yelp reviews, and a more than awkward cocktail party and a song about #adulting. During the second act, Sonja was brought back on stage to try out some improv comedy of her own. 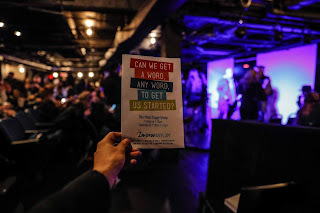 Upon entering, audience members were asked to fill out prompt cards with questions like "What's something you want to tell a friend but are too scared to?," these notecards were then used to inspire portions of an entirely improved scene. 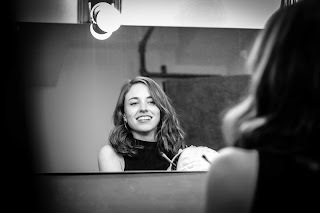 The cast worked Sonja in, with a mock 'bathroom line' situation equipped with a scorned lover seeing her ex with his new girlfriend, played by Sonja. 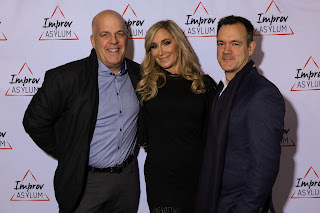 Additional guests included Ramona Singer and Tinsley Mortimer from Real Housewives of New York, Montgomery Frazier, Ben Mindich, Marc Bouwer and Barry Fidnick, as well as comedy writer Jeffery Gurian, models Arielle Ray, Vlada Roslyakova, Elena Kurnosova and the founder and CEO of Improv Asylum, Norm Laviolette. 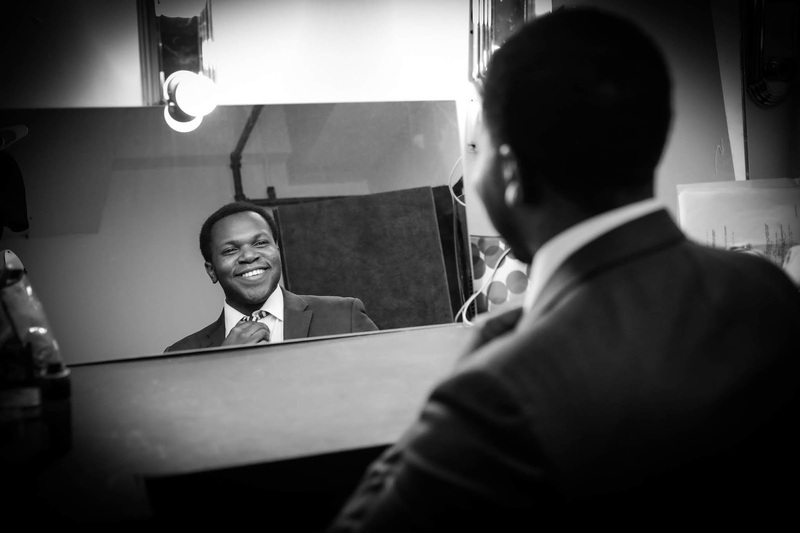 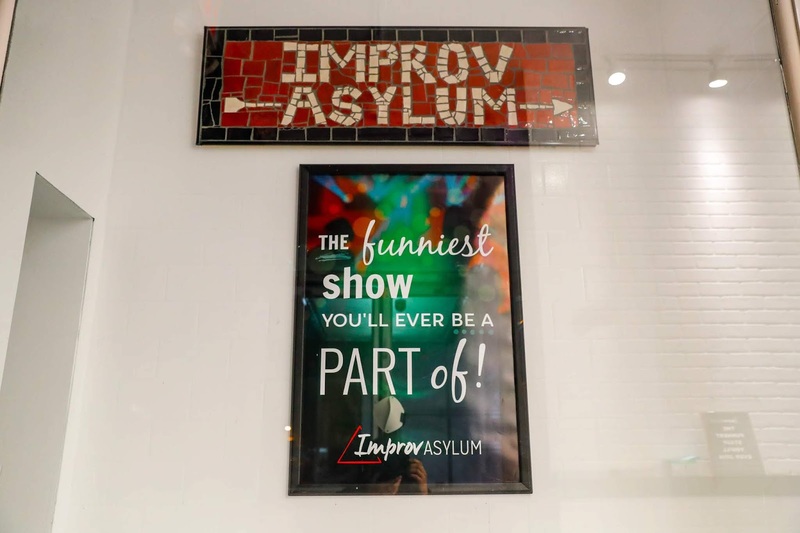 Improv Asylum is a Boston-born improv and sketch comedy club that is shaking up the comedy club scene. 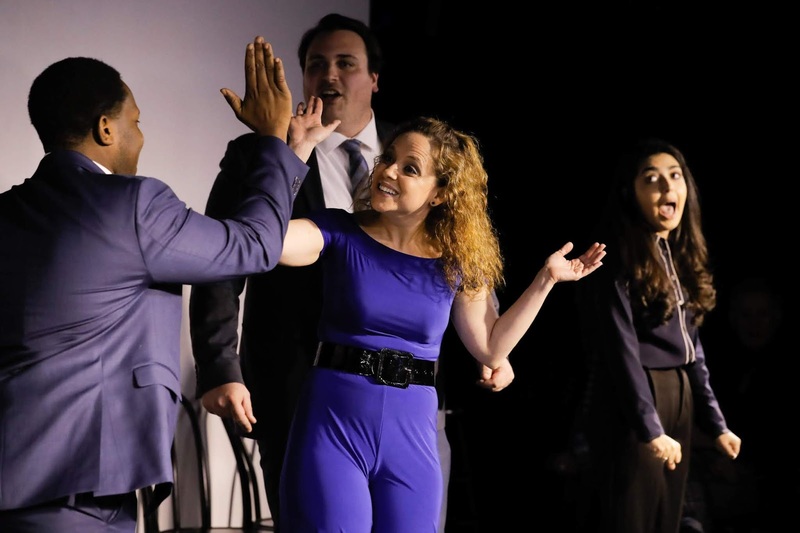 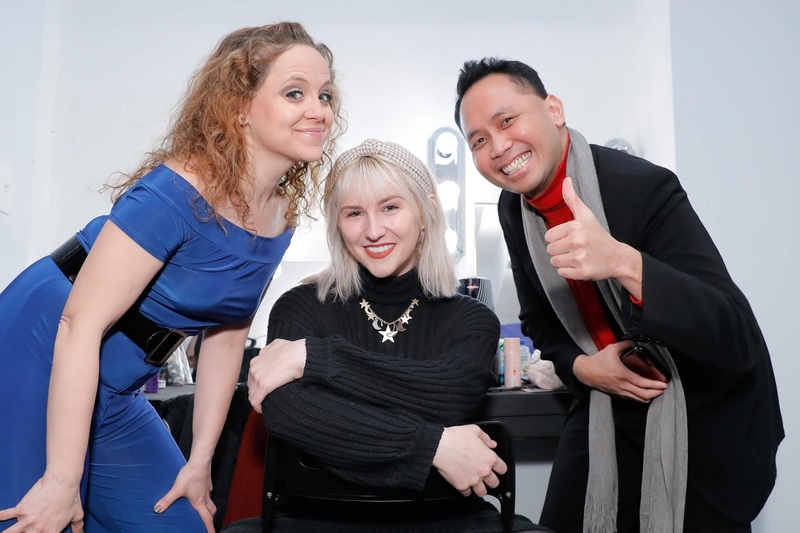 Their style of comedy can be described as "Whose Line is it Anyway" meets "Saturday Night Live," seamlessly fusing improv and sketch comedy on their Main Stage creating hilarious, topical sketches and fun interactive improv. 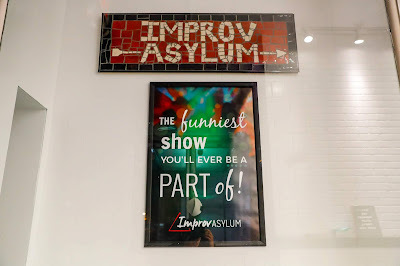 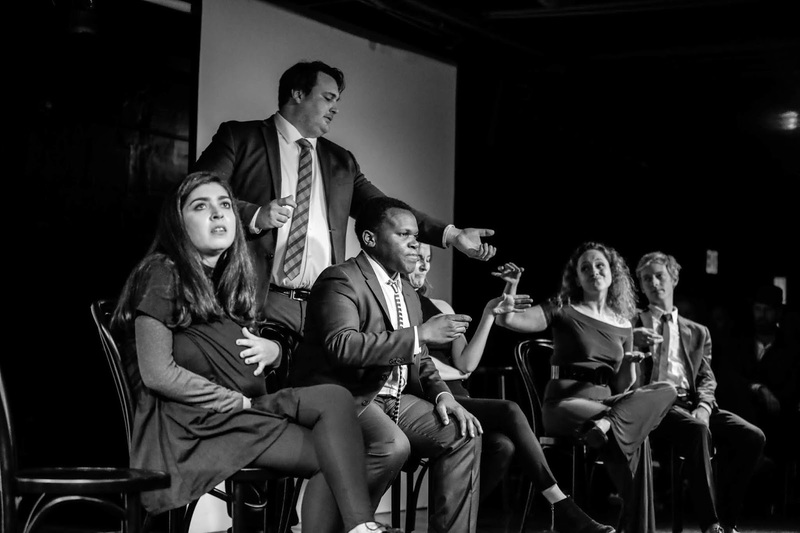 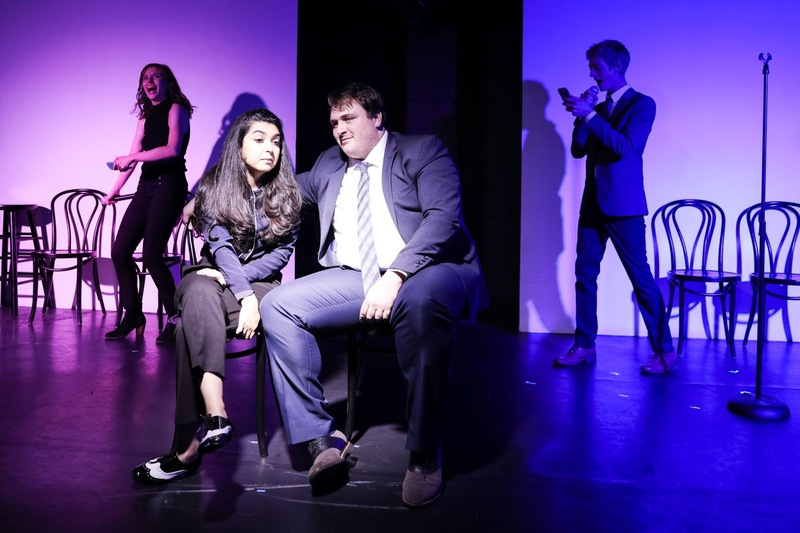 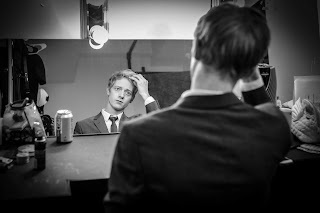 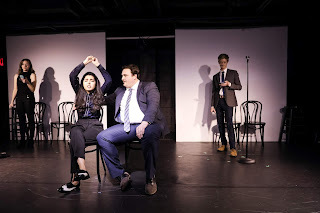 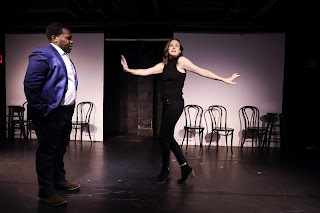 Improv Asylum set themselves apart in many different ways including paying their actors to be on the stage and letting go of the 'two drink minimum' we're all so accustomed to.